Recall what I explained in Tuesday’s class about the sectors ETF’s such as RETL?? Note how RETL, the 3X Retail stock index, with stocks such as M, KSS, TGT & others is up another 4% today while the SPY is almost flat & Q’s Down! AMZN is down, so it is not part of the RETL move. Dales nightly update the action on the VXX on longer and short term time frames were discussed. Action looks to be heading to retest the lows and would indicate more upside on the SPY. During the day VXX did move back up short term. In this video from Dales nightly update to subscribers, he discusses the VXX downside divergence later in the trading day that presaged the move up on Monday. The downside divergence in the semiconductor index and associated stocks was also covered. 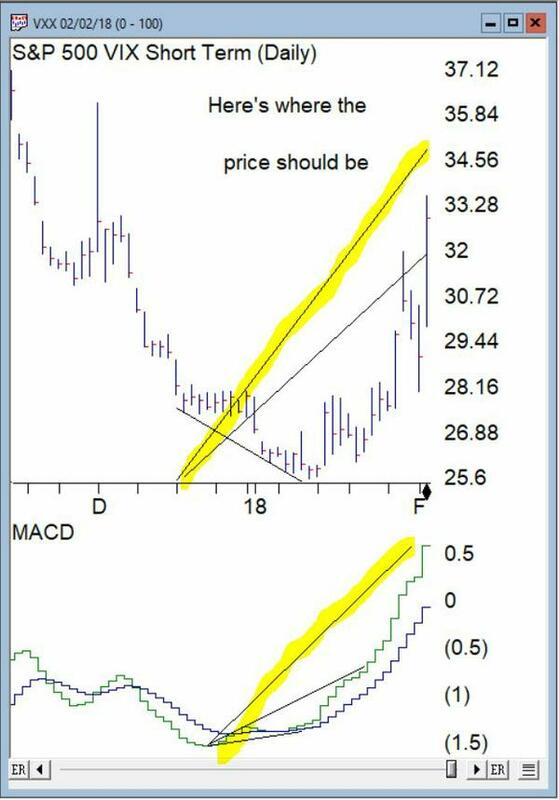 Dale discusses the continued downside move on the VXX and the MACD upside divergence clearly stalled the trend, but with no divergence in place, there are no actionable moves until later in the day when a downside divergence appeared. Nimble traders could have grabbed some VXX puts for under a dime. 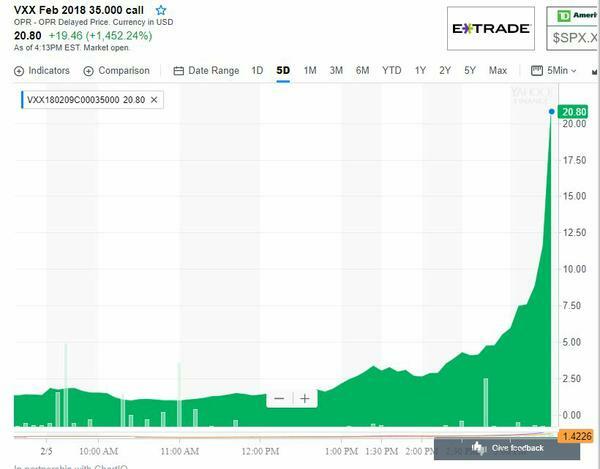 Volatility shouts out VXX – just how much warning did you need? 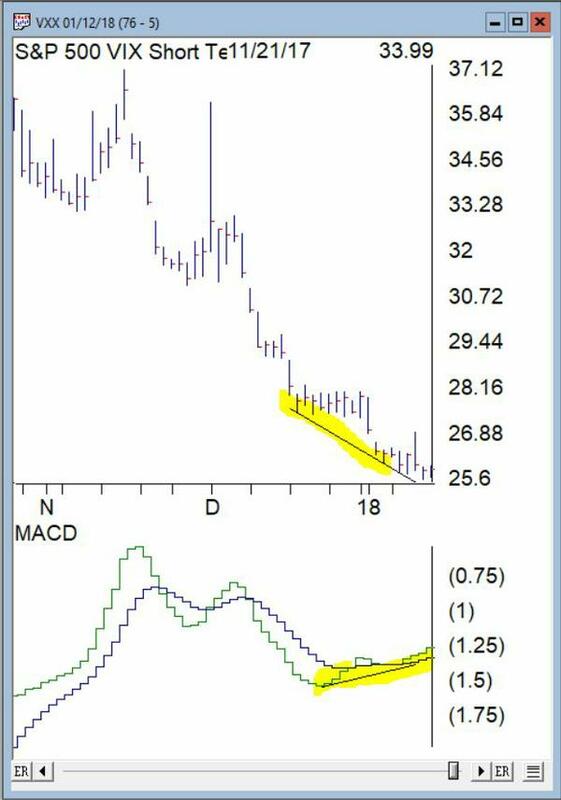 Daily VXX MACD has BEEN far ahead of the price(up divergence, hint hint)…… Great options trades! 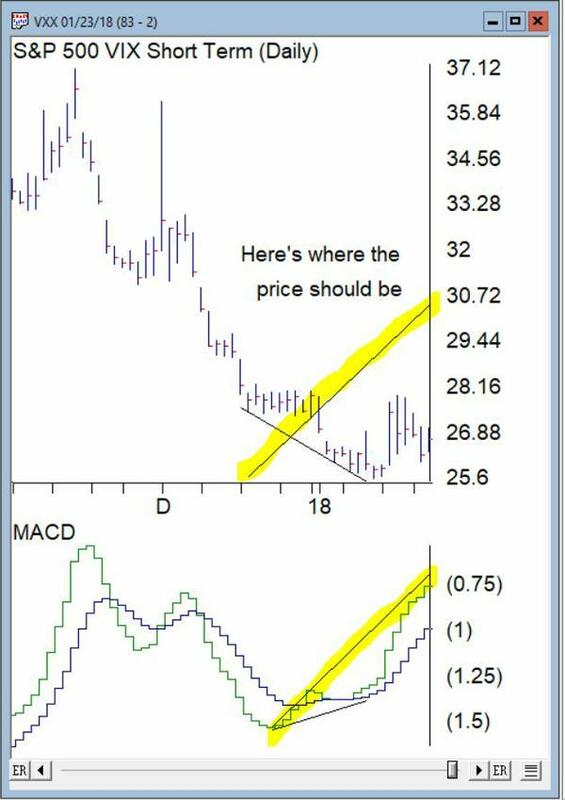 A tumultuous week in the markets, Dale recaps the VXX hourly MACD divergence and how the lower time frames provided clears signals of both exit points and reentry points or out of the money options. Plus the IWM divergence to upside later in the week. MACD divergences on QQQ, SPY, VXX and multiple time-frames on Euro Currency ETF, FXE. The Options Hunter also discusses the commodities related stocks leverage ETFs including SLX, XOP, UNG, USO, XLE, ERX, SLB, HAL, DO and FCX. We were all watching ALK after Tuesday's class. The divergence was a classic setup on daily charts on September 21, 2017. By September 25, 2017 things were moving and those OTM options were locking in great gains. 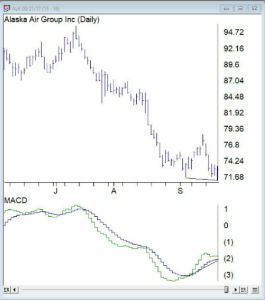 The Options Hunter tweet again reiterating the strength in airlines. 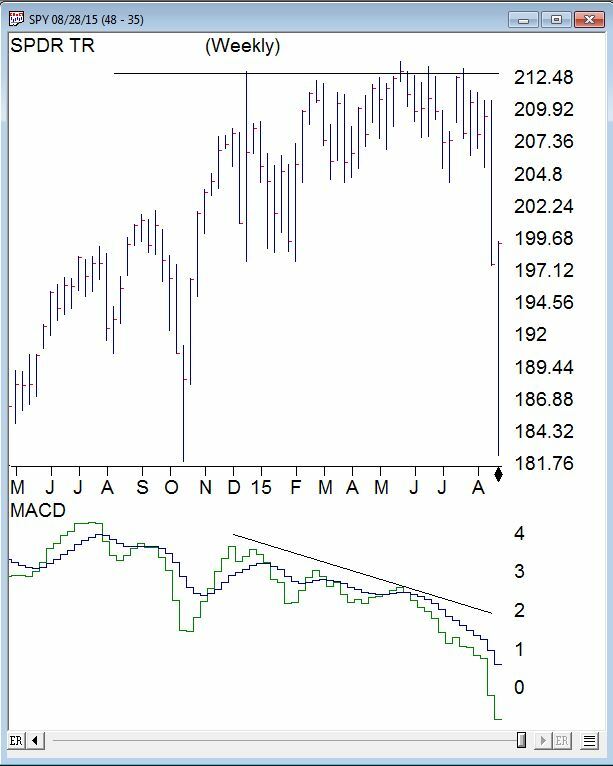 We’ve been watching the Weekly MACD Divergence on SPY setup for months. By mid-Feb the MACD was already signaling something was up. Then Mid-May SPY hit a new high, and where was the MACD? EVEN lower then the mid-Feb level. 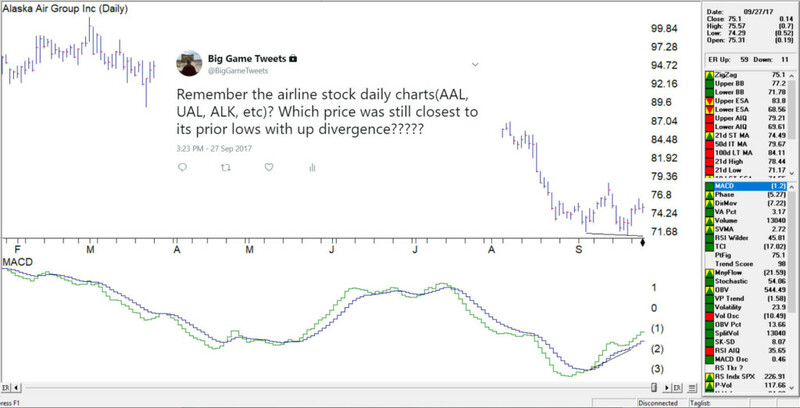 We played these divergences and we knew when the lower time frames started to diverged too, that the timing was right to make mega bucks in out of the money puts.